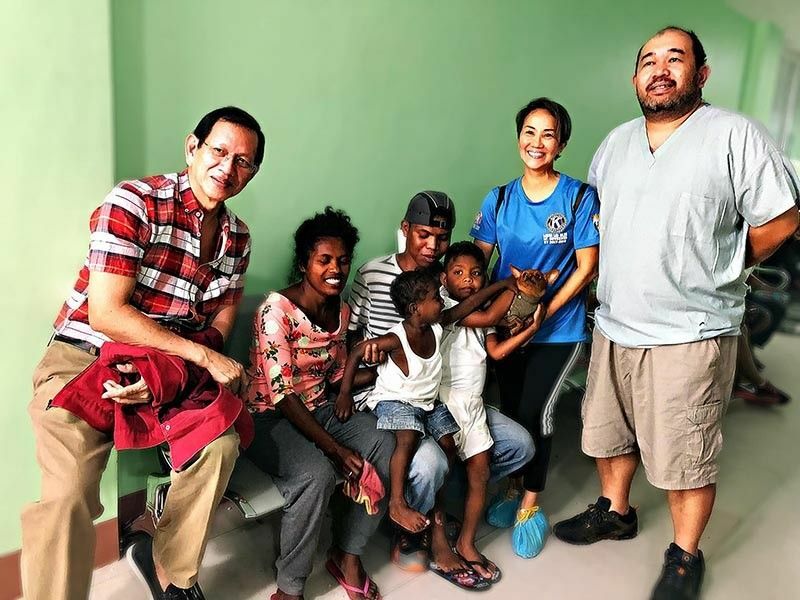 IT IS a partnership that seeks to bring smiles, build self-esteem, and share the expertise of a Davao-born charity foundation that has been providing free medical treatment to underserved Mindanao residents. 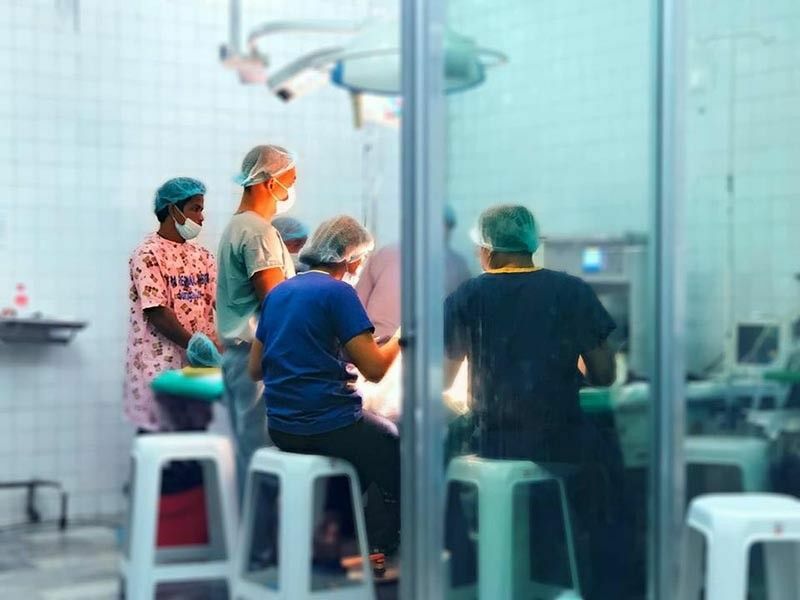 Thus, the 1st First Smile was held last week from March 19 to 23 at the Caraga Regional Hospital in Surigao City, providing free reconstructive surgery for those with cleft otherwise known as “ngongo” or “bungi”, especially among the indigenous peoples. Initiated by Carlito Kho, former vice president for operations of the Philippine Charity Sweepstakes Office and past president of Rotary Club in Butuan, First Smile tapped the expertise and big pool of Davao City’s best medical practitioners of the Maharlika Charity Foundation Inc. (MCFI) named 1st First Smile to emphasize that of utmost importance (first) is your first smile. Those not served last week will have another chance in May with 1st First Smile. Those who need the free surgery can contact 0946-382-1333. MCFI has consistently been going around Mindanao, reaching out to the underserved and bringing medical treatments that range from reconstructive surgery for those with congenital defects like harelip and burn victims, to eye defects, soft tissue cysts and tumors, and other diseases since it was organized in May 1973 by a group of Davao City doctors and health practitioners led by Dr. Rizal D. Aportadera, MCFI founder and long-time president before younger blood took over. Now headed by Dr. Benedict Edward P. Valdez, who served MCFI for more than a decade as its mission director and now as president and mission director, MCFI continues on its vision to reach the widest possible medically unserved and underserved population. The 1st First Smile is actually just a main event to an ongoing partnership that is sustained by the setup of a cleft referral center in Butuan City, the Holy Child Colleges of Butuan Hospital. It is founded on the concept of providing a venue for children born with congenital cleft to undergo the operation and not suffer the ostracization that children with that defect suffer from their peers. With this partnership, Kho is now the mission head in Northern Mindanao and the First Smile is tasked to locate, educate, gather cleft patients, and follow-up post-operation. They are looking toward expanding in Iligan in the later part of this year, Marawi next year, and beyond. 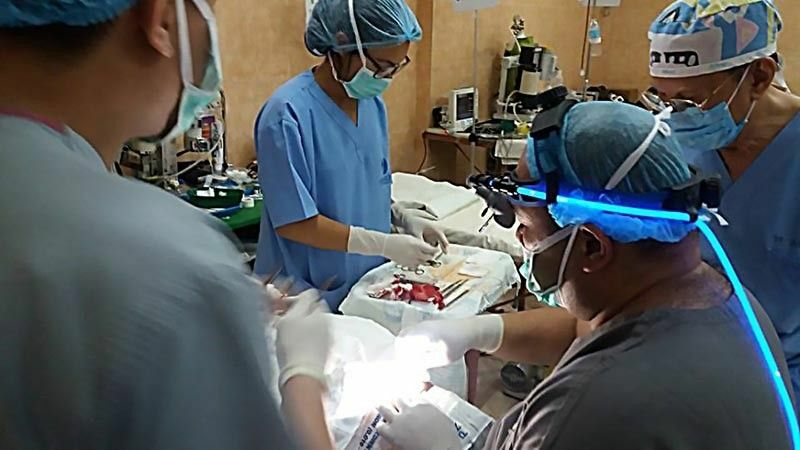 Dr. Valdez, a trauma surgeon who heads the Traumatology Section of the Department of Surgery and the Director of the Department of Emergency Medicine at the Southern Philippines Medical Center (SPMC), is inspired to work for a cleft-free environment because his father was born with one. 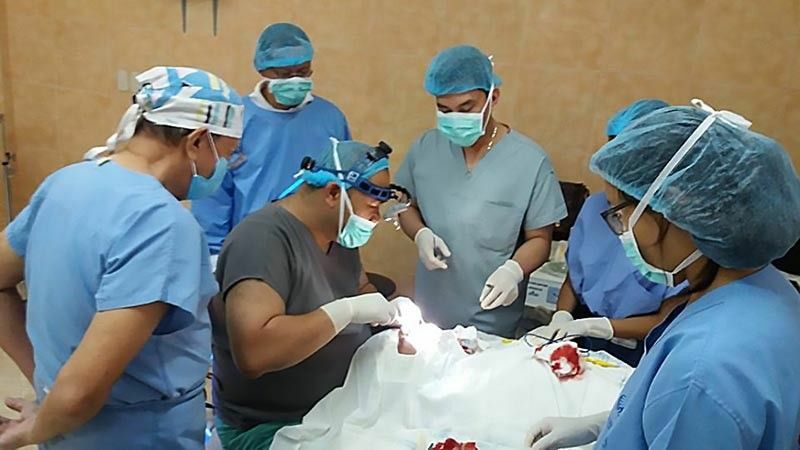 “It inspired me because it’s a congenital anomaly that can be cured by a 30-minute operation and the effect on these children is life-changing,” he added. Caused by folic acid deficiency while in the womb and also congenital, cleft is more often seen among those in the low socio-economic strata. Because they are subjected to teasing by peers and their inability to communicate well, even eat, for those with cleft palates, this defect eats into the self-esteem of a child. By doing reconstructive surgery, a child recovers his or her self-esteem and self-worth as they grow up. While MCFI has been giving all kinds of medical operations since its inception, and was reaching out to the farthest unserved areas in Mindanao seeking out cleft patients with the indefatigable Dr. Michelle Aportadera before stroke disallowed her from continuing, it has cranked up its cleft operations when it partnered in 2006 with Smile Train, a US-based international children’s charity that supports 100 percent-free cleft repair surgery and comprehensive cleft care for children globally. MCFI is among the oldest partner of Smile Train Intl-Philipines, whose country director is Kimmy Coseteng-Flaviano. Smile Train funds the MCFI cleft missions in Visayas and Mindanao. “Smile Train Philippines has lots of partners in Luzon to do cleft surgeries but in Mindanao, Maharlika has the most number of partner hospitals and non-government organizations and conducts the most number of operations in a year as a single institution,” Dr. Valdez said. Since partnering with Smile Train, MCFI has been averaging 300-500 cleft operations a year. 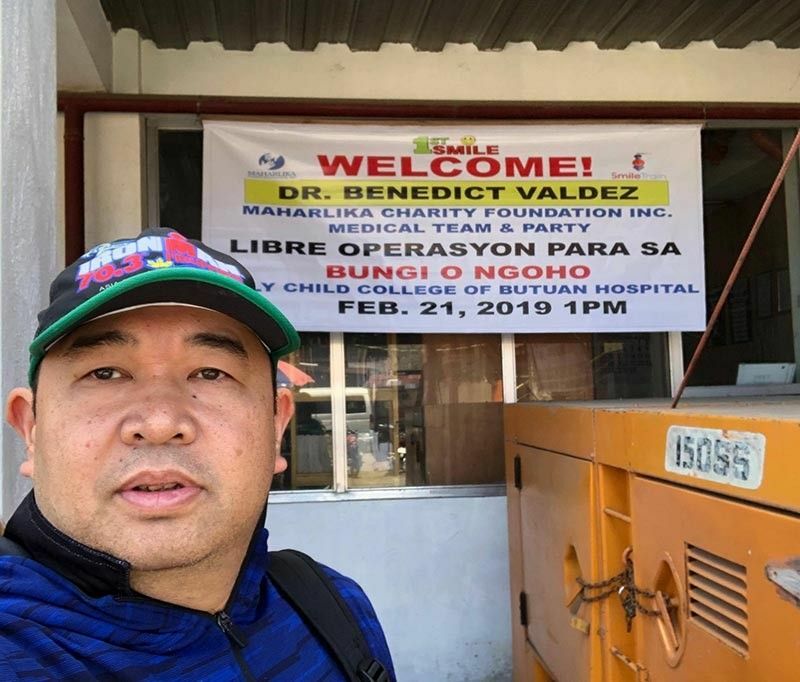 Dr. Valdez has Dr. Bernabe Mendoza, and ENT Head & Neck Specialist of Cagayan de Oro City as his partner in operating on the children in Northern Mindanao. 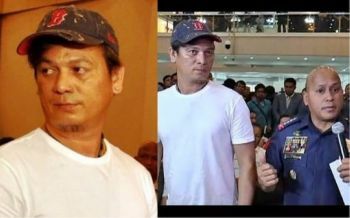 There’s a lot to thank, he said, as the 1st First Smile is a collaboration of many people from Davao and Northern Mindanao. Among these are Lui Bee Dien, past Lieutenant Governor of Kiwanis Club; the Go Serbisyo Caravan and team with Caraga Regional Hospital and Dr. Dodie Sebastian Limcangco and Caraga OR Nursing Staff; Ward staff with Dr. Cosnaire Seguis and Dr Janet Chan, Department of Health Undersecretary Hermenegildo V. Valle, Deowel Malinao, Lowel Go, Emed SPMC Association Inc., the SPMC plastic and recon surgery section, Dr. Hector Nazareno, Dr. Rina Angeles, and Dr. Berry Berina, and B. Braun Company. Together, they look forward to fulfilling the vision of a cleft-free Philippines.